Townsville residents are always looking for ways to experience outdoor life and there no better way to live outdoors that on your deck right in front of your own home. This is the only place you can have your leisure time relaxing, sunbathing, and enjoying the great outdoors while still being at home with your family. But, any outdoor space like a deck has to be well designed and built not only to give you that pleasant experience, but also to add value to the house and increase equity. Transforming your home from the mundane to marvelous will not happen by picking any deck builder you come across. No, when looking for house builders in Townsville that are also experienced decking contractors. There are few things you must consider, obviously price is among them, but it is not an important one as such. At times, it can mislead you, but it is, for sure should be a priority, especially if you are on a budget. Generally, it’s never a good idea to entrust someone with your project without knowing what others people knows about them. So, check around, get to know who will be able to provide you with the deck designs you need. If you already have an eye for one, check their experiences, the list of references if any, and most importantly, determine whether the materials they intend to use will serve you need, or whether they will withstand the humid climate. Never take a deck builder’s word for it, it always good to check whether they are registered, or whether they have a business license. Along with that, you may need to check proof of liability insurance, so that in the case of damage or injuries, you won’t end up paying more than you budgeted for. We register all building permits as part of our service to you through Townsville Building Permit Office. You should not only inquire for references, but you should also check them. Ask any previous clients who had a deck built about their company and experience, how long it took to finish the project, how was the chemistry between them and the company builders, did they do their job as expected? If you can, ask about the present status of the deck. Has the timber used been able to withstand our local climate? A professional deck builder should be able to understand the implication of not having a permit, or not abiding by the building codes. If there are any codes regarding soils, load bearing requirement, underground utilities, and such. Make sure to ask those details when requesting a quote to avoid potential problems in the future. 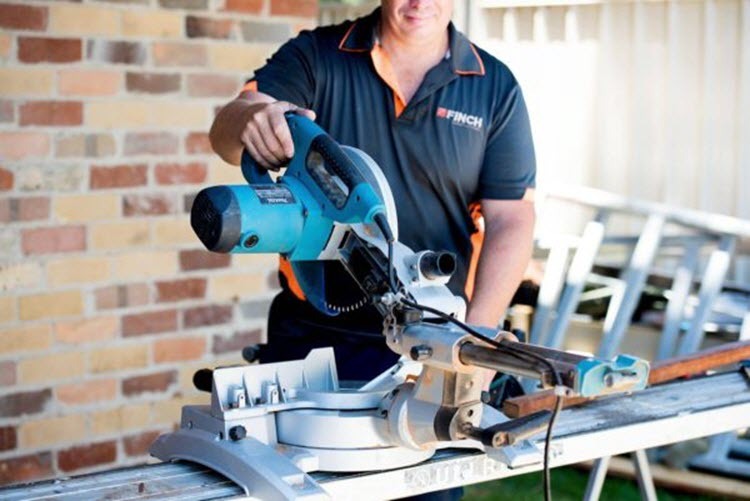 Remember that the wrong combination of building materials, especially here in Townsville could land your new deck to the ground, so make sure that the home carpentry builder understands the materials needed to give you a study and pleasing deck. Remember that planning and design stages when it comes to the creation of a new deck is imperative, so before you hire any company, be sure that they understand your plans and can match your ideas with their expertise. Finch Constructions, one among the renowned deck builders here and a great builder of new bathroom in Townsville as well, have the experience to get the deck you need starting with pouring the concrete footers. With close to two decades of experience serving Queensland’s surrounding area building new homes, new kitchen in Townsville, and a host of other commercial and residential buildings. Finch Constructions ensures satisfaction of their client. We have seen companies emerge and go, not because they don’t have the expertise needed, but because they are not able to comply with building codes and are not ready to give what the clients need. Finch Constructions are the only Deck builders in Townsville who are willing to help you select the correct timber for Townsville’s humid climate. 122/533 Flinders St, Townsville City QLD 4810.